According to North Highland legend, Dave Peterson founded the firm in 1992 after realizing that his priorities had shifted. He came home one day from an engagement with extensive travel and his two-year old asked, “Mom, does Daddy still live here?” That was in 1991. Within a year, Dave had 2 co-founders ready to setup shop in Atlanta, Georgia. Leveraging his 30 years of experience in management positions with Georgia-Pacific Corporation, Ernst & Young, and Arthur Andersen & Co., Dave went on to serve as Chief Executive Officer of North Highland until May 2005. However, his legacy of a familial culture and regional staffing model lives on. The company has experienced rapid growth, apart from a post-9/11 slowdown. To combat declining profits, leadership collectively decided to avoid their own bonuses and salary growth to avoid layoffs. This act of true leadership remains a source of goodwill inside the firm to this day. All of that may be fine and well. However, the real question we aim to answer is this: is North Highland a good place to start your consulting career? And is MBB still an option afterward? With Daniel Reardon at the head, the firm leadership consists of 16 individuals — 4 of whom are female. North Highland also has 6 members on the Board of Directors. While the firm has a wide range of practice areas, make no mistake that its main focus areas are People & Change and Technology & Data, and many of the firm’s clients are in the Financial Services sector. The firm is currently in the midst of a multi-year strategy to branch out into strategy and operations. North Highland Consulting has ~10 offices located in the U.S. and London. What can be confusing is that North Highland is part of Cordence Worldwide, a network of ~10 fully independent firms covering 70 offices located in 14 different countries. The firm itself doesn’t make this distinction, as it helps to convey scale and compete against MBB and Big 4 firms. Very occasionally, the firms in this network will pool expertise on an engagement, but it is not known to happen much. Make no mistake, only around 10 of the offices listed on the firm’s website are actually North Highland office locations. North Highland closed it’s Chinese and UAE offices a few years ago due to poor demand, which tells us that the firm’s current growth strategy is focused exclusively on the U.S. and UK markets. The London office is known to be the best run of the bunch, with its own professional development program separate from U.S. offices. The North Highland Consulting career path is pretty standard: Business Analyst – Consultant – Senior Consultant – Manager – Partner. Generally, North Highland brings MBA grads in at the Sr. Consultant level, specifically in the Strategy & Advisory practice. Be advised: Senior Consultants in this practice are expected to travel up to 100% of the time. If you are an MBA grad who would prefer to work in a local office, apply through the firm’s Experienced Hire portal. For everyone else, the level you enter will be contingent on the length and relevance of your prior work experience (for example, having experience in payment processing is a big plus if applying to the San Francisco office). If you don’t have an MBA, you can break into the firm at the Consultant level with a Bachelor’s degree and 5 years of relevant work experience. North Highland only accepts MBA interns, and they are hired straight into the Strategy & Advisory practice. Intern pay and compensation at North Highland is a little below industry average – partly due to the firm’s current internal reorganization and status as a mid-tier boutique. Check out all of our 2018 salary and compensation data here. As is true with all consulting firms, exit opportunities abound, and North Highland maintains great relationships with their Fortune 500 clients. However, don’t confuse North Highland with top-tier boutiques like L.E.K., AT Kearney, or Oliver Wyman. Most consultants either laterally transition to better-regarded boutique or Big 4 firms, or leave to work for former clients in industry (more pay, less hours!). While North Highland is not a tiny firm (it’s only barely smaller than Bain), its firm prestige is a peg or two below MBB, Big 4, and top boutiques. Because of this, even if you aren’t at a target school, you have a chance to break in with proper networking (Book a Power Half Hour and let us help get you there!). North Highland is known mostly for being a “consulting firm with a twist.” The firm puts a strong focus on finding the “right” fit for the culture — 70% of employees are hired through internal referrals, even though there is no additional compensation for a referral being hired. North Highland offers its people incredible benefits. On top of the Global Employee Stock Ownership Plan, the firm offers a matched 401K plan with immediate vesting and unlimited paid time off. In terms of travel, North Highland pushes to be a local firm as much as possible. In fact, the company will only work with clients in cities which the company already has an office. Additionally, in an effort to maintain quality control, the firm only hires graduating MBAs or experienced hires. There are special teams for folks interested in traveling. You can expect to be in a client-facing role with North Highland early on. Additionally, the firm places a high value on building a culture of mentorship. Each employee is partnered with a career coach to assist in navigating his or her career, and informal mentorships are also highly encouraged. The firm offers a myriad of professional development offerings in areas such as consulting essentials, business analysis, and negotiation. Unless there is a strong preference for specialization, graduates can expect to become generalists both within the functional areas of the firm as well as across industries. Part of “owning” your career brings the flexibility of building out what sectors you would like to explore. The firm prizes itself on the culture of genuine meritocracy it has cultivated, and the firm is generally known for its warm-natured environment where it is common to build relationships with colleagues outside of work. No doubt, the absence of the “up or out” policy prevalent in other firms plays a big part in contributing to this culture. Client-centricity: North Highland’s priority is client service and respect. Integrity: North Highland communicates and acts with the highest degree of honesty, integrity, professionalism, and inclusiveness. Empowerment: The firm empowers each employee to make choices in their careers, compensation, and assignments. Accountability: North Highland is responsible and accountable for the success of their clients, teams, and firm. Care: North Highland respects and values the individual capabilities, contributions, and quality of life of each employee-owner. The typical hiring process from application to offer will vary largely depending upon the position that you are applying for, but you can expect the timeline to take anywhere from 2-12 weeks. 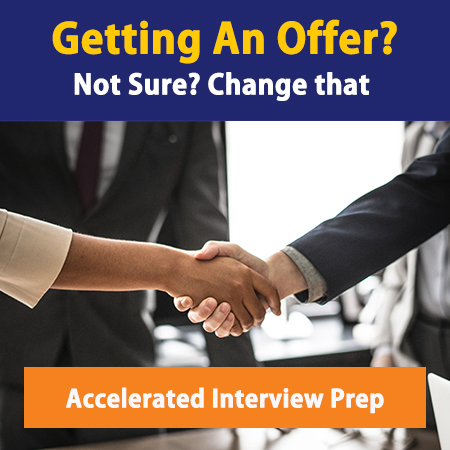 Be prepared for 2-3 rounds of interviews, the first of which may consist of connecting with a recruiter for a phone screen. This is where practicing your elevator pitch really comes in handy! Much like other boutiques, this will be followed by 1-2 rounds in the office with 2 interviews per round with Sr. Consultants and Managers for more specific questioning regarding your past experience and the role for which you are interested. You can expect these two interviews per round to be back-to-back and around 30 minutes long. The first one will generally be a behavioral (fit) interview. The second will be a full case interview. Like other boutiques (Parthenon-EY comes to mind), North Highland employs case interviews that are typical mid-range – not as numerical as McKinsey, but more specific strategy (and numbers) than HR cases. And, much like the rest of the industry, North Highland highly values your verbal communication throughout the case. Make sure you keep talking through the case, and drive to the recommendations yourself instead of waiting for the interviewer to take you there. For expert help with North Highland interview preparation, book a 1:1 coaching session today! Are you an experienced hire or MBA who’s interested in working at North Highland, but you don’t know how much you’ll make? Check out our latest Management Consulting Salaries post to find out!